Snapchat has said its in-house team of journalists play a key role in helping it cover the news accurately. As an example, the social network told the BBC it had fact-checked user-generated coverage from the recent Charlottesville protests with local police before highlighting the posts. The approach contrasts with that of its rival Facebook. Facebook used to employ an editorial team to curate its trending news section, but disbanded it last year. The larger company now relies on algorithms and external services to help tackle so-called "fake news". Snapchat's audience is a fraction of Facebook's. The former recently reported having 173 million active daily users, while the latter said it had more than two billion monthly ones. 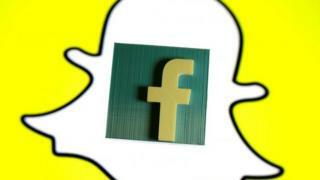 However, one research company has said Snapchat is set to prove more popular with young adults in the US this year. 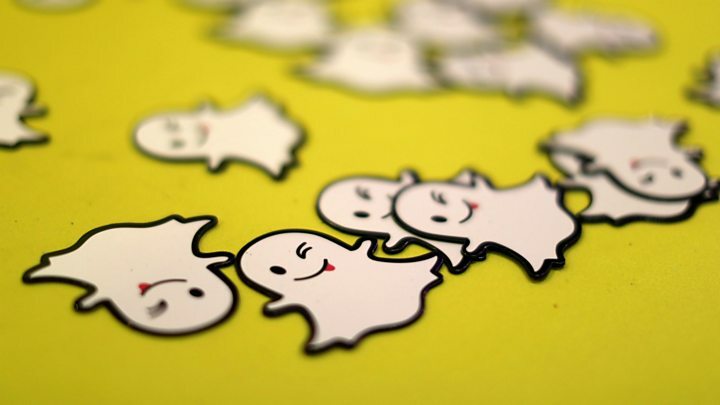 Although Snapchat is best known for its self-deleting messaging service and augmented reality selfie filters, its owner, Snap, is also keen to highlight the ways it is investing in becoming a source of news. CNN has recently started streaming a daily show on the platform, and several other mainstream media outlets make content available via its Discover facility. But Nick Bell, vice-president of content at Snap, was also keen to discuss how the app had curated videos of James Alex Fields Jr - the main suspect in the killing of a woman near a white supremacist rally in Virginia - filmed by its users. "We have a news team - we have journalists who work at Snapchat, who are looking at content that comes in and are evaluating it, are determining whether it is accurate, whether it is relevant and how we can add additional context," Mr Bell, from Alnwick, Northumberland, told BBC Radio 4's World at One programme. "So, if you look at some of the events in Chartlottesville, for example, in recent weeks, we actually received Snaps from members of our community of the driver being arrested. "Before we published these Snaps, we actually verified with the police to make sure that... the snaps that we were posting to our 173 million daily active users were of what we thought they were. "And we added a layer of context above that as well to describe what had happened. "We also inserted into that story warnings of graphic content. "So, we think that putting journalists into the fold is very important." Mr Bell did not refer to Facebook by name. However, Mark Zuckerberg's company has faced criticism that it helped promote dozens of false stories after stopping using human editors. The company responded late last year by highlighting some of the processes it had put in place to tackle the issue, including studying whether people became less likely to share an article if they had read it. Since then, it has announced several follow-up measures, the most recent of which is to block advertisers who repeatedly share stories that third-party fact-checkers have flagged as being false. However, explaining these processes to the public is inherently more challenging than Snap's ability to talk about its own in-house team of editors. Mr Bell was also asked whether Snapchat could be used to help inspire others to commit violence. "We take both terrorism and hate speech very very seriously, and we have zero tolerance," he said. "By design, Snapchat has been built to allow you to communicate with your best friends. "We actually make it pretty difficult for you to build a large following. "The situation that we live in today is that you could be approached on the street by a radical preacher, and it's very difficult to protect everyone from everything at any time. "What I am saying it that it's much harder for radicalists to emerge and create a large following on Snapchat than it maybe is on other platforms."